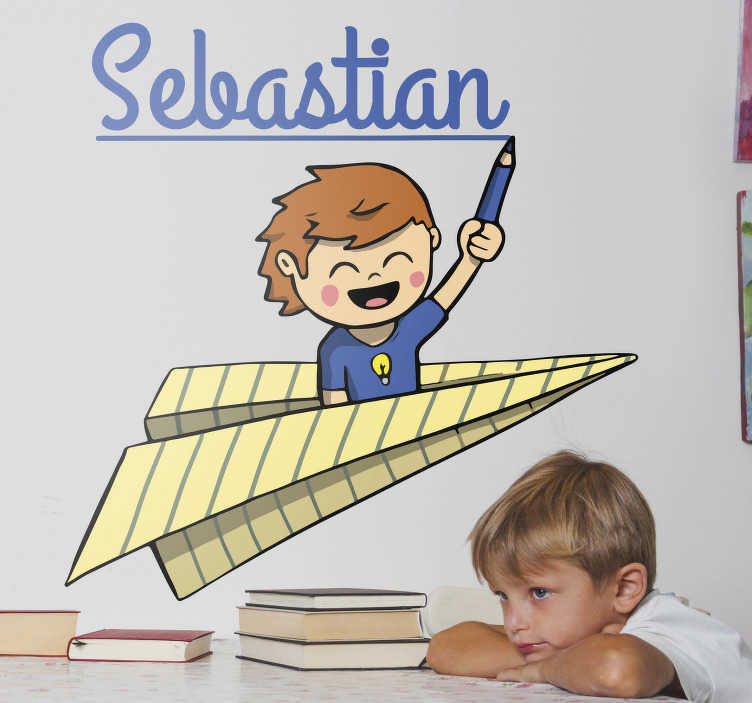 Funny children´s sticker with a child flying in a paper plane with a pencil in his hand while writing his name in the sky. Our personalised name stickers are perfect to encourage school children in their studies and with their homework. The custom name sticker will also give them confidence and make them feel special. You can choose what size you want and customise the name for this fun school children´s sticker.